Home Auto Mania Are you ready for a PIH? Are you ready for a PIH? Toyota wants you to be ready for a PIH, as at the North American International Auto Show Toyota revealed the NS4 – an advanced plug-in hybrid (PIH) concept vehicle. The NS4 is Toyota’s vision for future mobility, with a focus on next generation connectivity and safety. 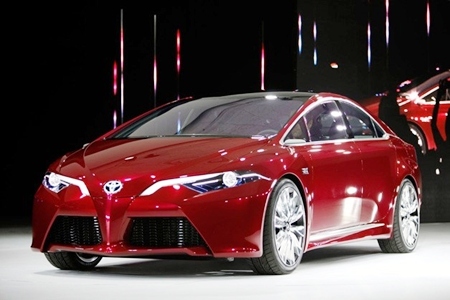 A big ask to wrap into one vehicle, but you’ve got to hand it to Toyota, they gave it a go. Rain-resistant ‘hydrophobic’ coating – Fluorine coated glass causes rain drops to form into semispherical shapes for improved visibility and rain drop elimination. ‘Anti-fog’ coating – high performance resin material with anti-fogging characteristics and increased durability. High ultraviolet (UV) absorbing inner-layer – removes 99 percent of harmful UVA and UVB rays and Anti-solar film with radio-wave transparency – reduces the internal vehicle temperature and improves electronic device functionality. Malaysia leaves Thailand behind (again)!